A law graduate or lawyer that cannot defend his or her own basic rights as contained in the constitution does not deserve to be called a legal practitioner. Why because, such person is not fit to defend the right of others. You can’t defend the right of others if you can’t defend your own rights. This is why I have always maintained that there are very few lawyers in Nigeria who deserve to be called legal practitioners, what we have are businessmen and women who trade in the legal profession. If not, the abusive system in the Nigerian Law School could not have been tolerated for this long without much resistance. It appeared lawyers are now trained to be docile, so they could not defend human rights, but to wear wigs and collect certificates. For the Nigerian law school, which has become notorious in flagrant violation of basic rights of many Nigerians, including female Muslim students who have been consistently denied their right to decent dressing as prescribed by their constitutionally guaranteed right to religion, the time for change is now. To change an unjust system, there must be at least one disobedient person who is very much aware of the unjust system and purposefully decides to disobey it, with the intention of causing change and permanent restructuring. This is exactly what has happened during the recently conducted call to bar by the Nigerian Law School. A Muslim lady, Amasa A Firdaus who graduated from University of Ilorin and Nigerian Law School, Abuja campus was barred from entering the International Conference Center (ICC) for the call to the bar program because she refused to remove her decently worn hijab in defiance to the repugnant tradition of the law school, which bans the use of hijabs by female Muslim students. Firdaus is not the only victim of this violation of basic rights, thousands of female Muslims have continued to suffer similar abuse over the years. 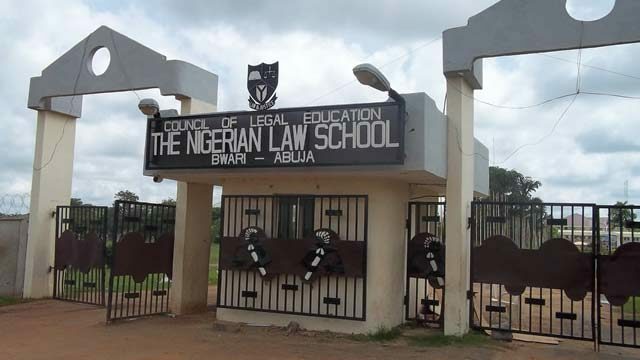 Few days before the unfortunate incident at the call to bar event in Abuja, some young people had taken to the social media to launch a campaign to call for change in the law school discriminatory practice against female Muslims. It appeared Firdaus, a female law graduate, who was the Ameera of Muslim Students Society (MSS) at University of Ilorin resolved to take up the challenge to fight for all victims, as she also presides as the Ameera of Nigerian female Muslim lawyers at the law school. While I understand that rule 36 (a) of the Rules of Professional Conduct in the Legal Profession Revised (2007) expressly decries the “wearing of apparel and ornament” that draws attention to a legal practitioner appearing before a judge, the hijab doesn’t fall into such apparel ornament that can be decried upon, because it is a constitutional right that no bye-law can suppress on a permanent basis. It has been established that the constitution is a ground norm and by section 1(1) & (3) thereof, it is Supreme and binding on all authorities and persons in Nigeria and as well above the ordinary laws of the land. Since the constitution recognises ones right to manifest one’s religion and belief in practice and observance, a female Muslim, being a Nigerian too, has the right to wear her veil anywhere, anytime. “The Constitution of Nigeria is the basic norm from which all the other laws of the society derive their validity. Any other law that is in conflict with the provision of the Constitution must give way or abate.” This is the position of the law court in the case of PDP V CPC (2011) 17 NWLR (pt 1277) 485 at 511. Besides the above, there are numerous court judgments from the Appeal Court and even Supreme Court that has maintained that the use of the hijab by female Muslims is a right that cannot be denied because the veil is part and parcel of religious practice of a female Muslim if she chooses to wear it. In another court of Appeal judgment in Massoud Abdul Rahman Oredola, JCA, it was held that; “The right of the Respondents to wear their hijab, veil within the school campus and INDEED ANYWHERE else is adequately protected under our laws. I therefore hold the views that, the only reason why such archaic rule still existed in the Nigerian law school is because nobody has been courageous enough to challenge it like Firdaus has now done and all well-meaning Nigerians must rise up to defend our law and not their personal sentiments. It is important to note that, if the law school can make rules to deny people their right under the guise of the profession, then to what use is the constitution? That means every profession can then proceed to make unjust laws and claim it is to protect a professional ethics. We must not allow this to continue. I am also aware that religious right is not absolute. The right is subject to section 45 of the constitution which gives the government the right to disregard citizen’s right to religion in the interest of defense, public safety, public order, public morality or public health; or for the purpose of protecting the rights and freedom of other persons. But the practice in the Nigerian law school doesn’t fall into any of these categories. While some people might want to argue that it falls into the public order category, but they have to explain how exercising a right to wear hijab impedes public order. And even if it is for public order for the purpose of defense, such ban cannot be permanent; it can only last for some time. The Supreme Court decision in M.D.P.D.T. v. Okonkwo (2001) 6 NWLR (Pt.710), explained that, for the purpose of public interest, such right would be held in abeyance. In view of the above, the Nigerian Law School must begin the process of changing all of its rules that are inconsistent with the Nigerian constitution. This is the only way to guarantee peace and teach law.